Busy Schedules and Emergency Scenarios We Bring Auto Glass Replacement Facilities to Your Doorstep. Windshield Solution maintains the widest multi-model inventory for all vehicles, including all luxury cars. The company’s centralized customer helpline is equipped to handle all customer queries and provides single point of contact for all glass claims. Our Mission and Vision is Execution for excellence and our products & services which delight our customers by setting new standards in comfort, safety & security. With an uncompromising approach to quality and customer service, Windshield Solution has a simple promise to its customers – to deliver service that is ‘Faster, Safer and Better’. 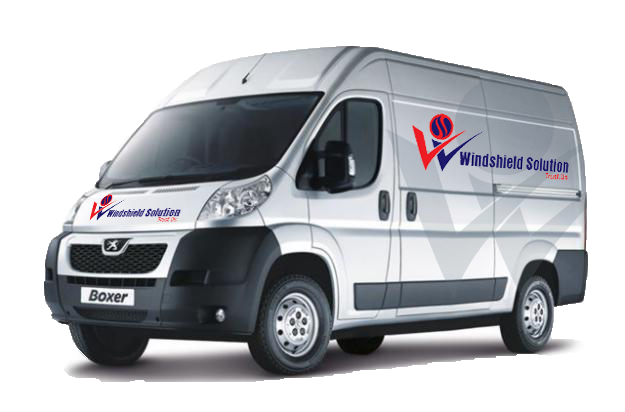 At Windshield Solution, we do not think of replacements as the first course of action. In fact, it is kept as the last option, to be considered only when the driver and passengers’ safety is threatened. If the glass has sustained minor damage like a chip or a crack, our team of experts would advocate repair rather than replacement. That said, we do believe that repair should be carried out sooner rather than later, before the damage spreads further and reaches the extent where you have no other choice but to replace the windshield. Therefore, regardless of how small the damage might appear to your eyes, it’s important to get in touch with our centralized call center, so that corrective measures can be taken immediately. There are various reasons why repair is a far better option than replacement. To begin with, it’s more convenient. The entire process takes only a few minutes. Then, there is the cost angle. Repair will undoubtedly be cheaper than replacement and it also goes towards saving your No Claim Bonus. Finally, it is also safer, since the glass is never removed, thereby maintaining the original seal.